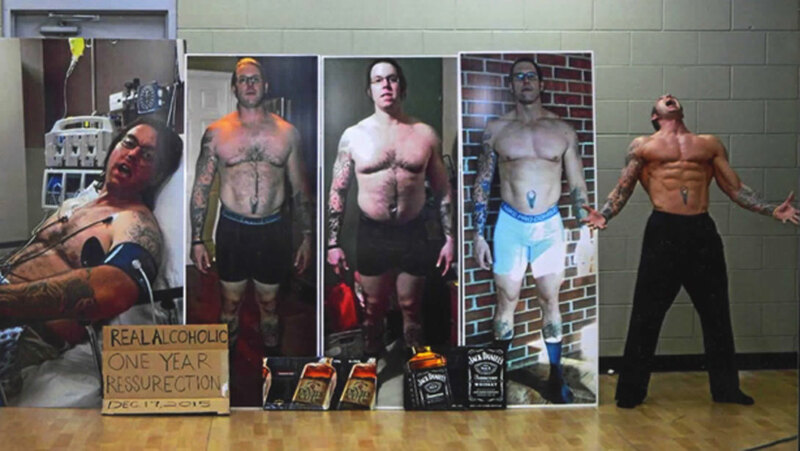 After 30 arrests, 40 ER visits and 20 detoxes, he reshaped his body and his life. “I made the mistake of getting a beer license. 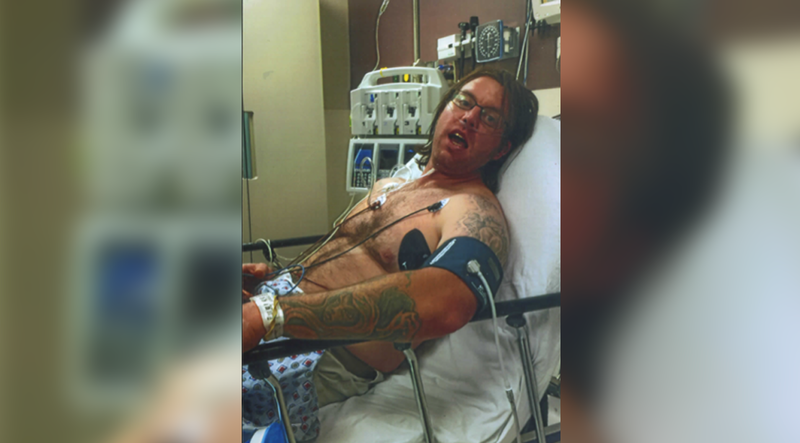 He would drink more than we would sell,” Melody Childs-Clark says as she recalls the moment that her husband’s, Matt Childs', drinking started to really get out of hand. The couple met in August of 2002, hit it off, and decided to open a restaurant in June of 2003—they both had restaurant experience. Childs' parents, Donna and James Childs Sr., had owned one for many years—and eight months in Melody decided to get the beer license. Matt Childs had his first drink at 14-years-old. He recalls that it “made him feel cool,” but it wasn’t until he had unrestricted access to his restaurant’s booze that things started to really get out of hand. “More was coming home than going to customers,” Childs says, agreeing with Melody. Five years later the restaurant closed down and the drinking persisted. Finally, after 20 years of blackouts, fits of rage, suicidal thoughts and false promises of getting clean, he hit rock bottom. Three days into another detox attempt, Childs couldn’t take it anymore. Armed with whatever money he had on him, Childs called his mom asking for five dollars—he swore it wasn’t for beer. But he couldn’t sleep or eat; this was a vicious cycle he was all too familiar with. His hopeful mother handed over the five bucks and minutes later he did what everyone expected. When Childs finally came to, the head of his anger therapy group—which he attended once in a while—was staring right back at him. “You remember me?” he chortled, mockingly. He once told Childs that he would see him on the front page of the newspaper for murder, after kicking him out of his class. At this point, Childs wasn’t giving him a reason to believe otherwise. On December 17, 2014, Childs was sent to Atlanta, GA, for what he recalls to be his “twentieth or so” detox. Six days later Donna was there to pick her son up. This time, the routine was different. “It was 3:30 in the afternoon and I told her to take me to a meeting." Childs had regularly made fun of Alcoholics Anonymous, but over the course of the following 90 days he attended 217 meetings, whether it be through AA, his church, or therapy. While his family has always been supportive, Childs wasn’t ignorant to other people's skepticism. He did, after all, spend most of his life going to rehab, coming back and then relapsing again. He knew he just needed to show not tell. “This last go-around, I had to just accept how people felt because I did this through my drinking. A lifetime of being self-centered doesn’t change overnight,” explains Childs, who needed a positive outlet to help consume all of the hours in a day. Although he never stuck with any of the sports he played, working out and training was all he really knew besides restaurant work— you don’t have time to pick up new hobbies when you spend most of your thirties blacked out—so, he got into the gym and simply started. Once he set his sights on transforming himself, his obsessive and addictive personality came into play, but this time for the better. Childs dove in headfirst. His meals consisted of asparagus, egg whites, tuna, tilapia and boiled chicken. 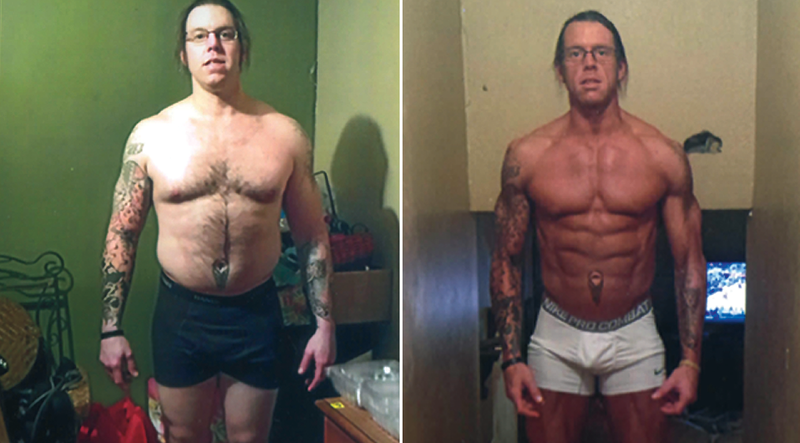 He ate that everyday…for a whole year. Early morning fasted cardio sessions at 7:00am became the norm, followed by one of his outrageous workouts—most of which are upwards of 40 sets and last up to two hours. And show he did. Presently, Childs is an absolute savage. He dropped 65 pounds, going from 236 pounds to 181 pounds, shedding eight inches off of his waist. His transformation alone is M&F worthy in its own right. He walks around in stage-ready condition and still has enough energy to crush it in the gym every single day. “Off days” are hardly that; you’ll still find him running speed drills, slamming a tire with a sledgehammer, and hopping onto a 30-inch box, laterally, with one leg. Statistically speaking, Childs’ chances of relapsing are 90 percent over the course of the next four years, according to National Institute on Alcohol Abuse and Alcoholism. A relapse is something Childs has experienced time after time again, and the idea of undoing the past 13 months with one beer is pretty frightening, but he takes it all in stride. A lifetime of drinking robbed Childs of who he was. Now he’s beginning to find that person, and he likes him. Childs did what no one ever thought he could do; he proved the naysayers wrong and proved himself right. He has yet to see that condescending anger management instructor, but if he did he sure as hell would make him eat his words. But that’s not what it’s about for Childs; there’s no desire to seek him out, rub it in his face, and say “I told you so.” He just wants to show people the power of change. Whether it be by taking on a young protégé in the gym—who spends most of the sessions keeled over a garbage can—or by going to high schools across the country and sharing his story: that’s his ultimate goal. Below is Childs' four week program. Repeat this week of training another three times after completion.